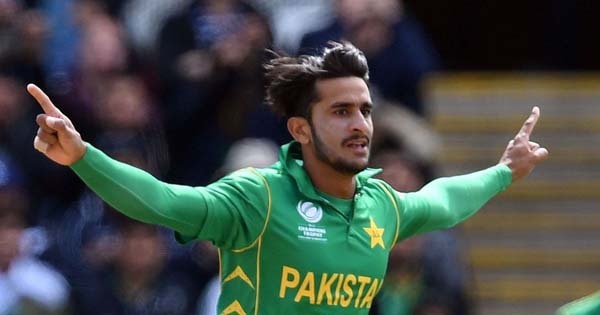 ISLAMABAD: Pakistan’s bowling sensation Hasan Ali ended 2017 with a bang, holding on to his number one spot in ICC ODI rankings thanks to an impressive tally of 45 ODI wickets during the year. So it doesn’t really come as a surprise when we see him named in ESPNcricinfo’s ODI team of 2017 an awe-inspiring group of cricketing behemoths who dominated the field during the bygone year, a private news channel reported. Batsman Babar Azam, with 872 runs at an intimidating average of 67.07, has also been included in the ODI team of 2017, where he joins a batting lineup comprising the likes of Virat Kohli and Joe Root. Hasan Ali also made it to the website’s T20 team of 2017, where he joins India’s Jasprit Bumrah to make up a fearsome pace attack. No player from Pakistan made it to the test team of 2017. Indian skipper and World Cup runner-up Mithali Raj and England’s World Cup hero Anya Shrubsole made it to the Women’s team of 2017. The women’s XI takes into account performances in both ODIs and T20s.